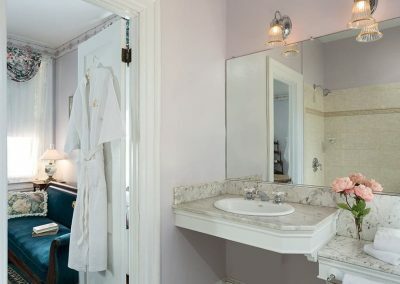 The Queen Victoria features 35 unique rooms & suites. The Mayfair is a beautiful, large, premium room located on the second floor of our Prince Albert Hall building. 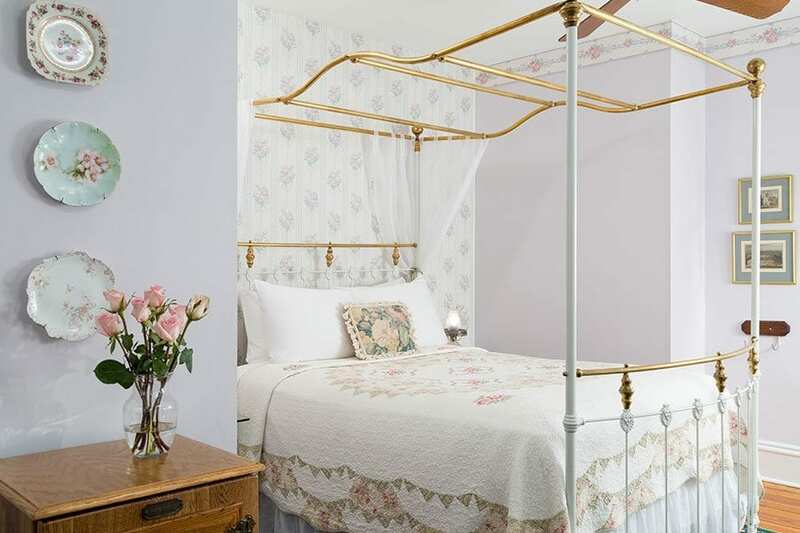 It is a bright, cozy room with a romantic canopy bed nestled into the bed nook. 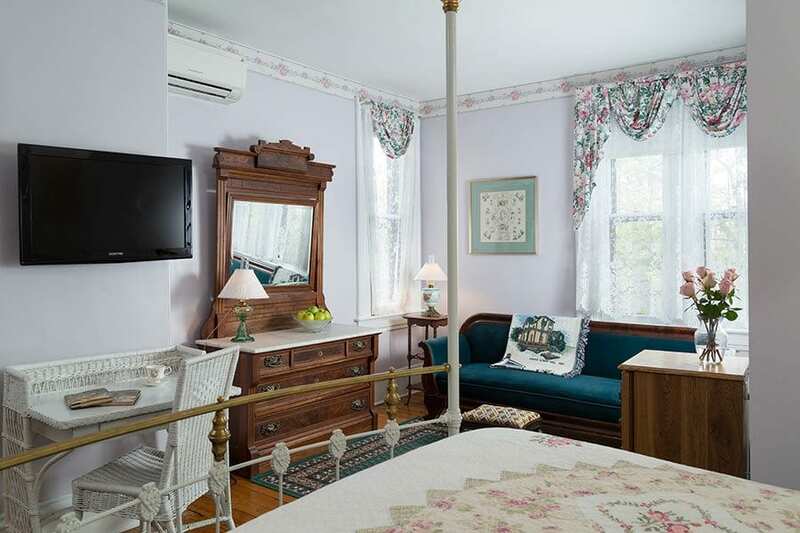 A beautiful vintage Victorian sofa and marble top “Eastlake” dresser complete the room. 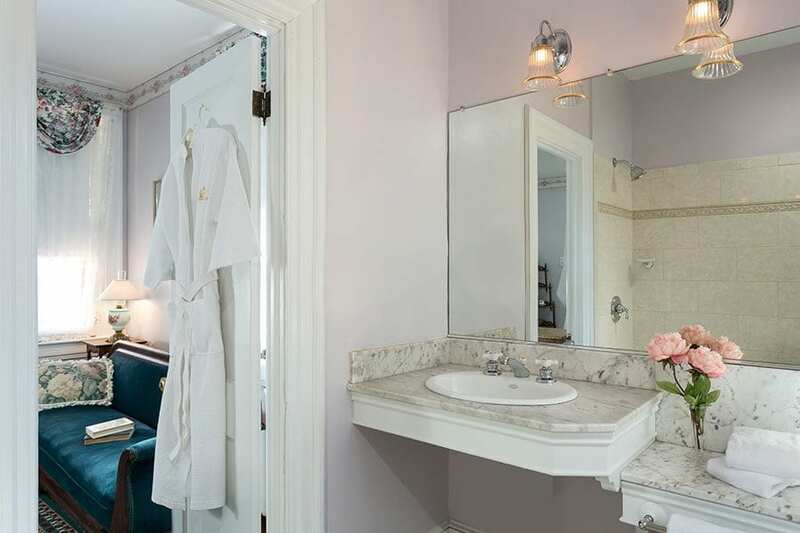 The bathroom in the Mayfair features a beautiful two-tiered marble counter with lots of “set down” space for your toiletries and boasts an elegant, large step-in shower. 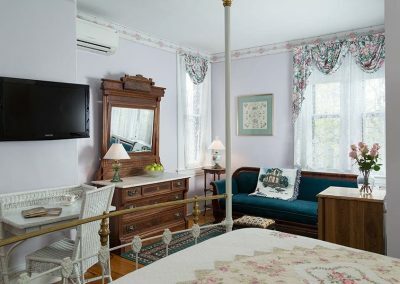 Individual climate control (heat & air conditioning), refrigerator, color TV with DVD, hair dryer, and iron are provided for your comfort & convenience. 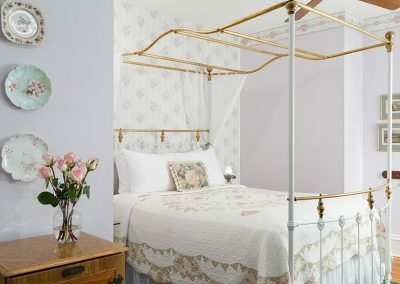 This is the first room Anna Marie and Doug stayed in before they bought the inn so it has a special place in their hearts—be careful to not be tempted as well! 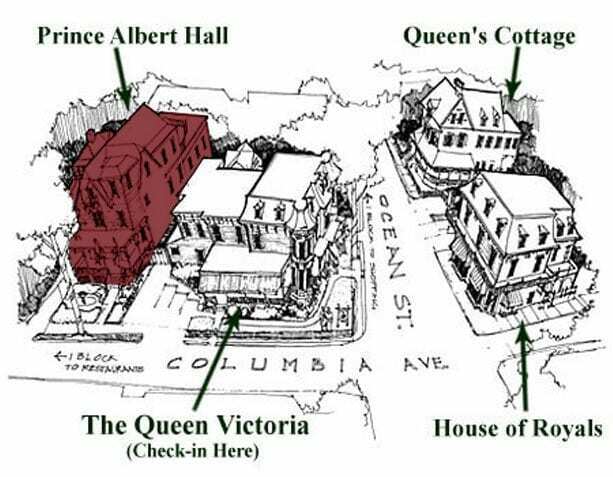 It’s a classic part of the Queen Victoria®, a true gem among Cape May hotels.